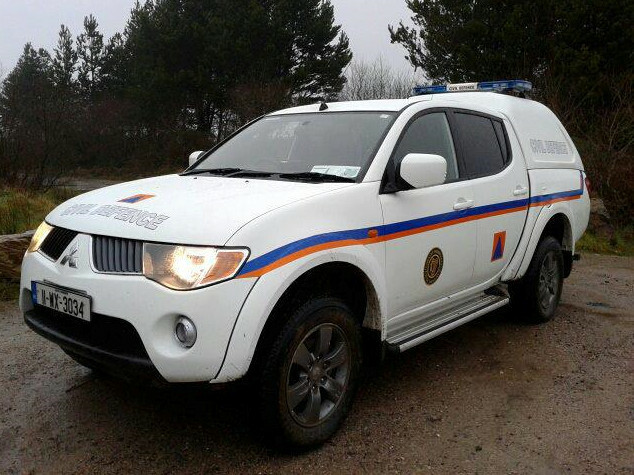 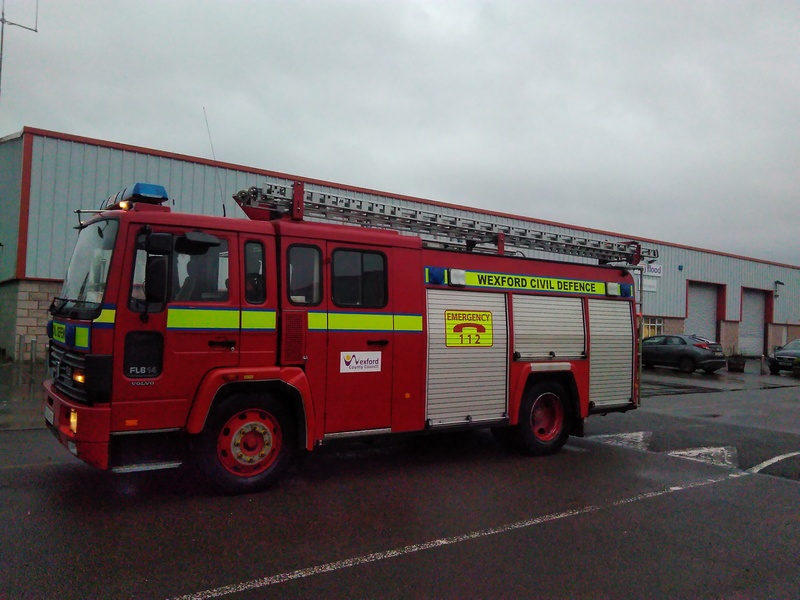 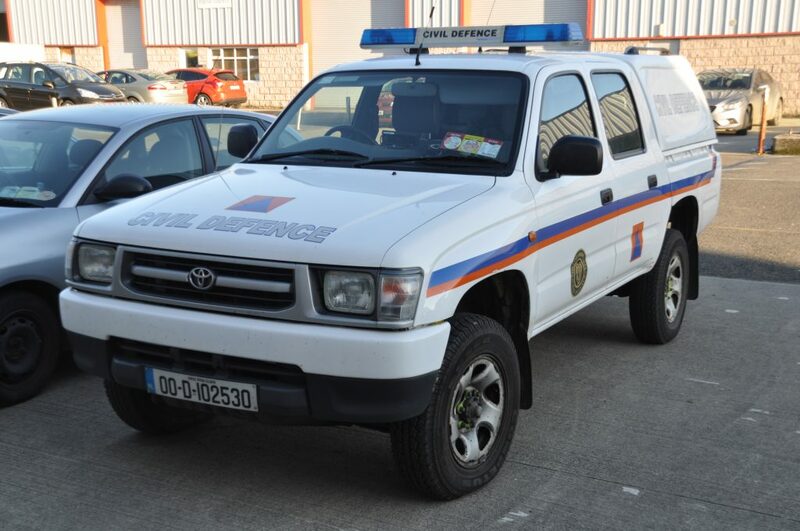 Wexford Civil Defence has a complete range of modern equipment in order to enable it to provide support when required in the community. 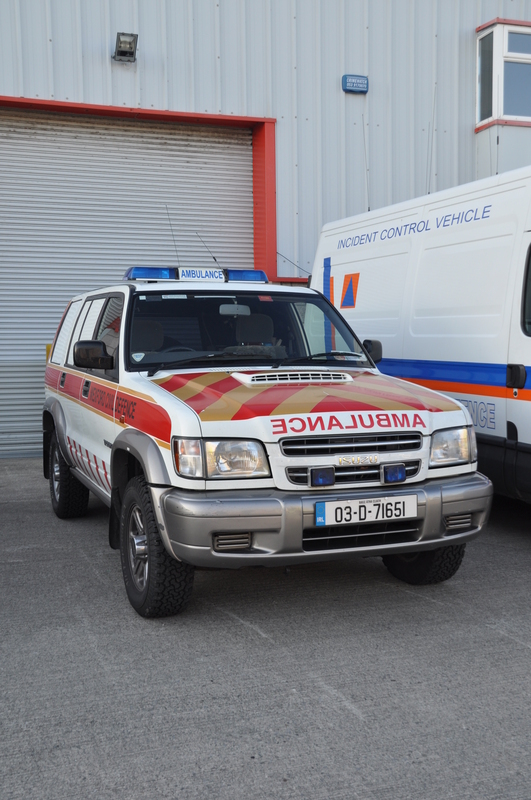 It has three fully equipped Ambulances, a number of 4 wheel drive jeeps and personnel carriers, and two river rescue boats. 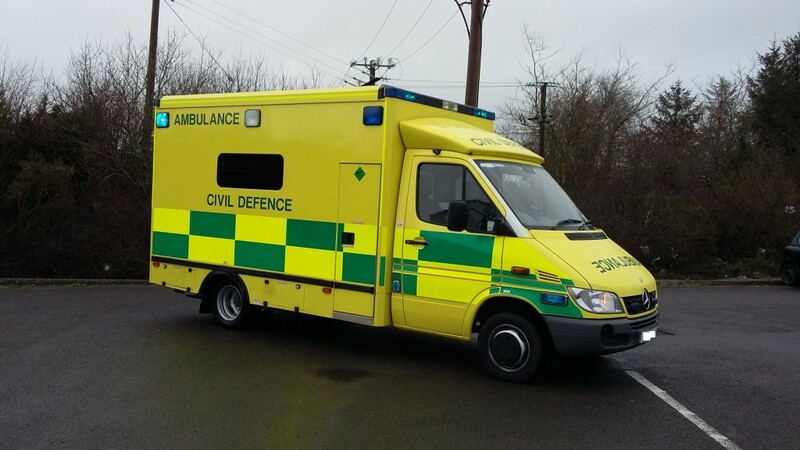 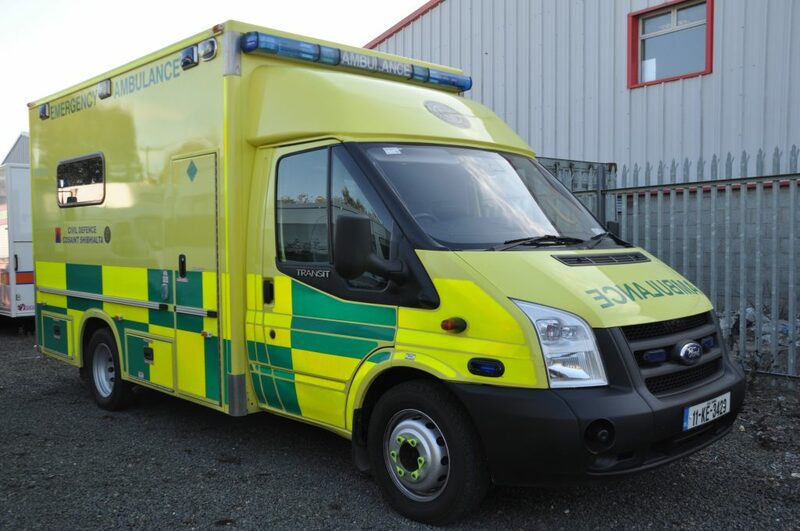 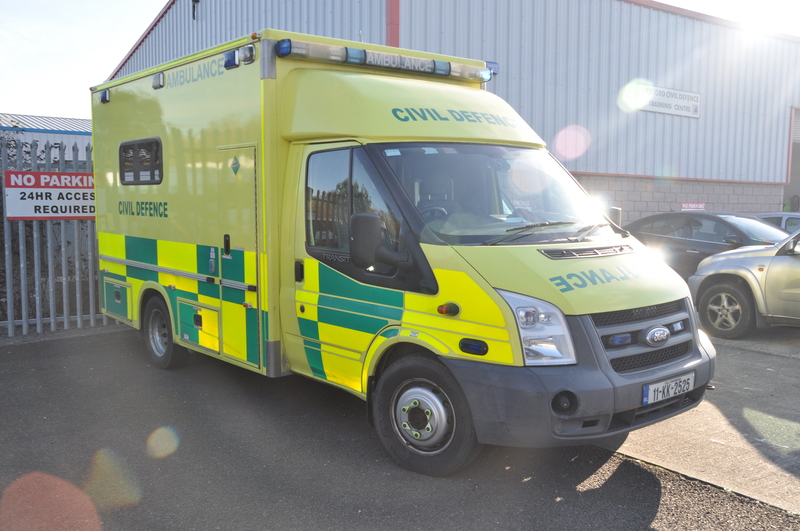 First Aid/ Casualty Service along with the fully equipped ambulances carries additional responder kits, oxygen and an Automated External Defibrillator (AED). 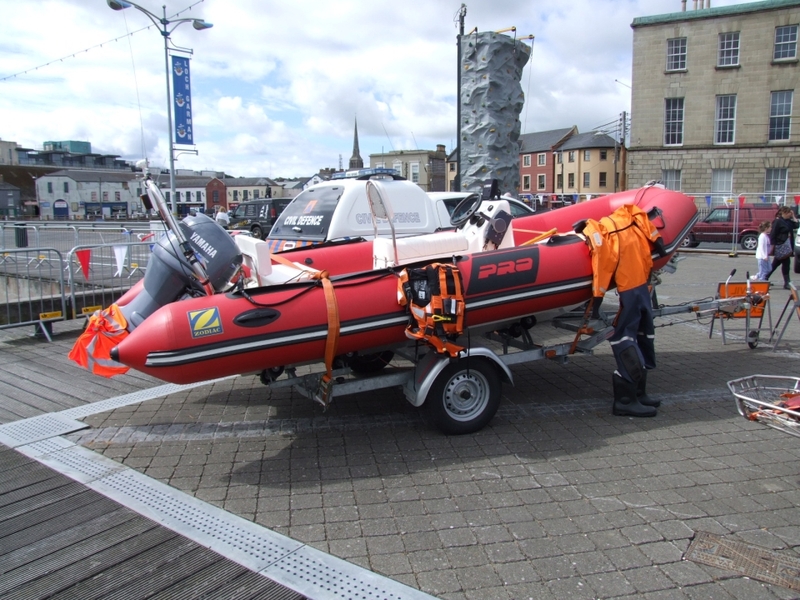 Rescue Equipment includes harnesses, ropes, stretchers and cutting and lighting equipment. 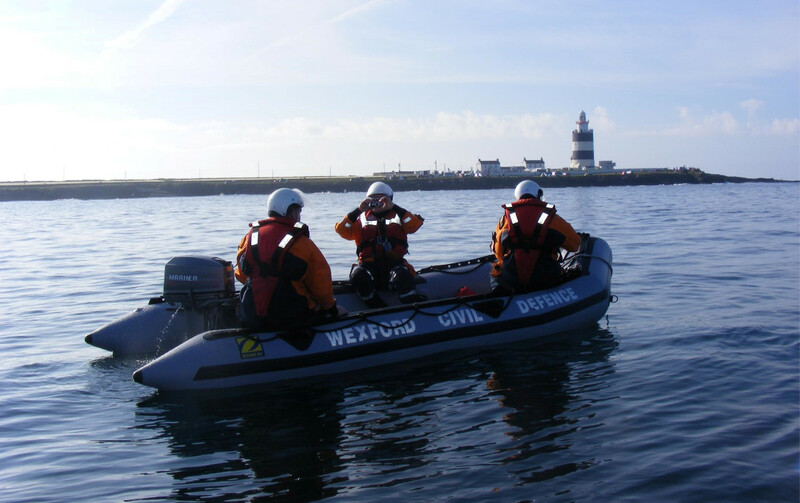 Navigational equipment would include maps, compasses and the most up to date GPS equipment. 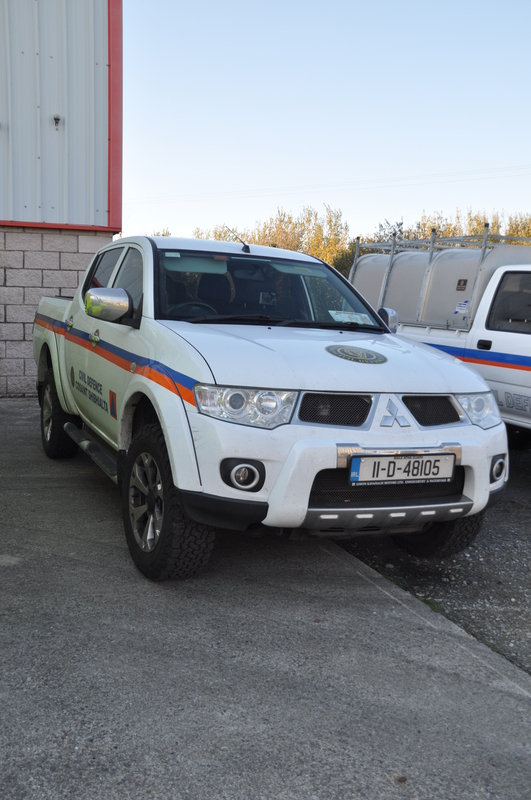 The Welfare Service has a fully equipped kitchen for food preparation and storage. 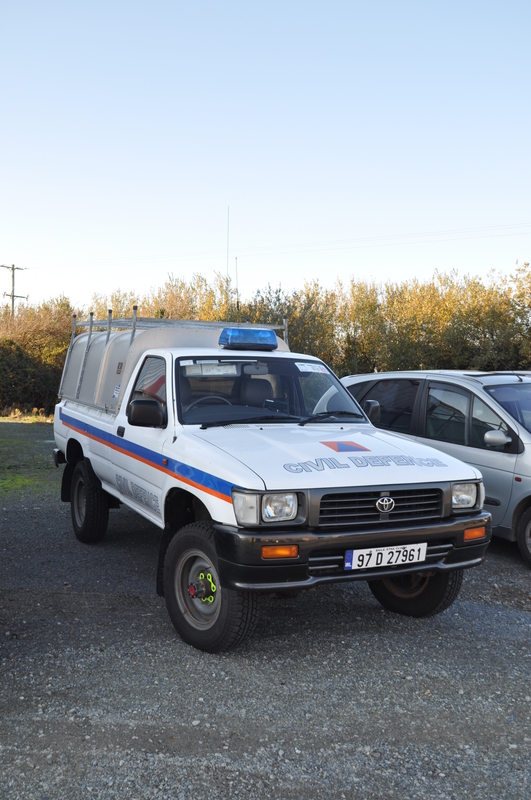 The Warden Service is equipped with Gretz, and survey meters for radiation monitoring and sample collection. 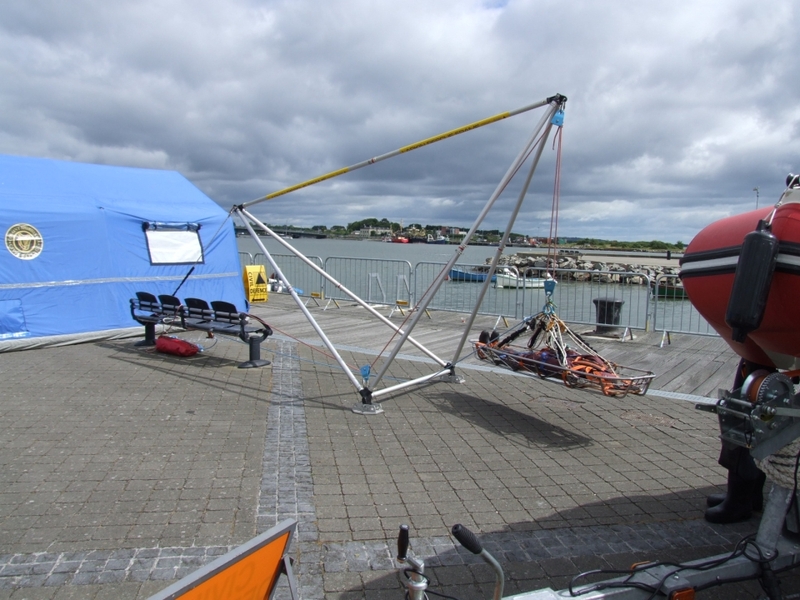 It has a complete range of radio communication equipment vhf, uhf and marine. 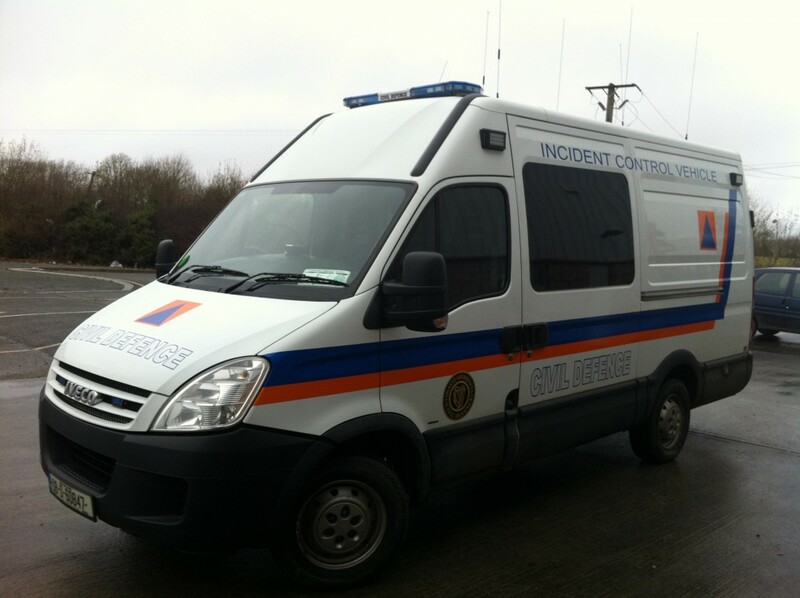 The AFS is equipped with a Van carrying a portable pump, hoses and fire protection clothing.